Voters in Haiti are heading to the polls this Sunday to vote in the first round of Presidential elections to replace Michel Martelly. 54 candidates are vying for the Presidency. It’ll also be the second round of legislative elections and local elections. The first round of legislative elections held in August was marked by low voter turnout – just 18% – and election related violence that invalidated voting results in a number of districts. Although the results of the August election have been certified and the top candidates are headed to a runoff – some are calling for the results to be cancelled, others want a transitional or caretaker government until a legitimate vote can be taken. For more on the Presidential candidates and to give context to these elections we speak with Serge Bellegarde, professional translator and Board member of Beyond Borders. 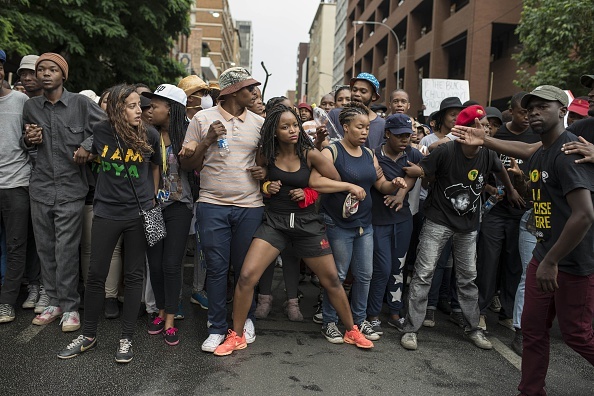 A major victory for students in South Africa this morning – after two weeks of protests that shut down Universities, roads, public squares, and Parliament, President Jacob Zuma announced that there will be no fee increases this year. 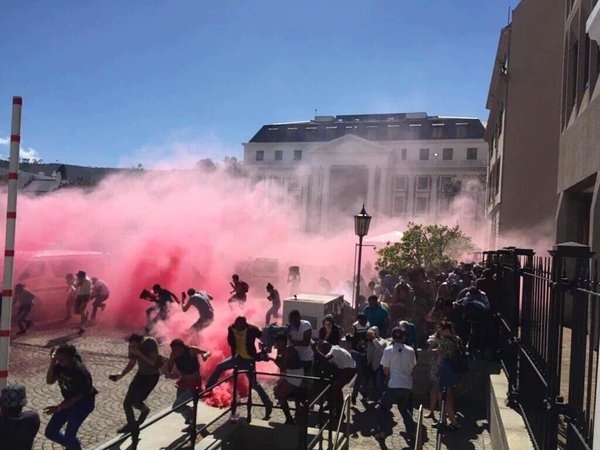 Protests began at the University of Witswatersrand last week when the University announced a 10.5% fee increase, and quickly spread to the University currently known as Rhodes, and the University of Capetown. This Wednesday, students converged on the Parliament building as part of a call for a #NationalShutdown. Students say that this movement goes beyond the fee increases – they they want economic liberation for black South Africans. I caught up early this morning, just before Zuma’s announcement, with Thenjiwe Mswane, spokesperson of the National Shutdown Collective and a student of the University currently known as Rhodes. We started by talking about the organizing behind the National Shutdown. City College of San Francisco is planning to cut 356 faculty positions over the next six years. If the cuts go through, that means over a quarter of CCSF’s classes will be eliminated. The union for CCSF faculty and staff, AFT 2121, is fighting the cuts. Miss Major Griffin Gracy is retiring this week from her post as the Executive Director of the San Francisco-based Transgender, Gender Variant, and Intersex Justice Project. Miss Major is a living legend, a beloved elder, a veteran of the Stonewall Uprising and for decades she has been a force in fighting for TGI people in prisons, jails, and detention centers. I caught up with Danni West, Development Director at the TGI Justice Project to talk about Miss Major’s legacy in this political moment.